As the celebrations continue for the 40th anniversary of The Snowman, Penguin Ventures has partnered with The People’s Picture to create a giant mosaic of the iconic ‘flying scene’ from the original book, made up of thousands of individual festive photos. Fans of The Snowman are being invited to upload photographs of their fondest festive memories or moments from the past 40 years to form the giant tribute piece titled My Snowman, to commemorate the landmark anniversary of original picture book. 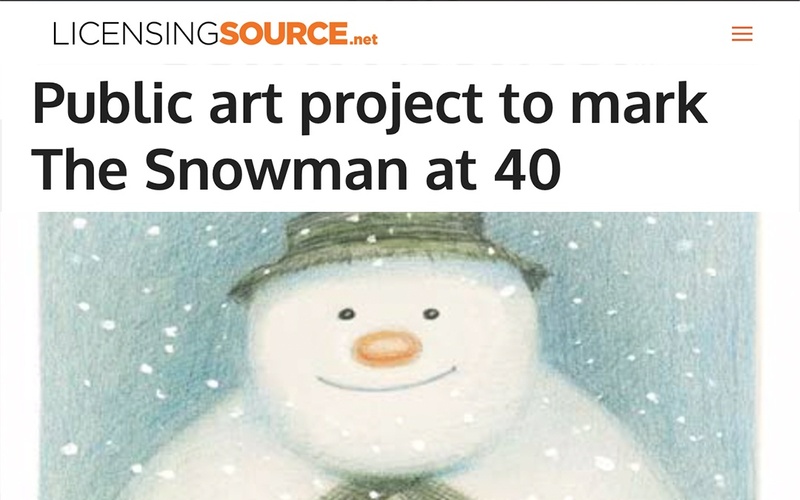 My Snowman will be exhibited at Brighton Museum from December 4 to January 6, to complement the existing exhibition of Raymond Briggs’ original artwork. A digital version of the mosaic will also launch online, allowing participants to zoom in and find their own photograph. Helen Marshall, founder of The People’s Picture, added: “The pictures as a whole reveal the full range of human emotion expressing love, loss and celebration which are the ultimate themes of The Snowman story. Some of the pictures also have stories that are compelling and important. The final artwork will be gifted to Raymond’s charity of choice, Chestnut Tree House, to be auctioned off as part of its annual fundraising initiative.